The Amazon is one of the most diverse regions of the world containing an endless amount of plant life much of which has a great amount of therapeutic benefits. One such tree is the Graviola tree (Annona muricata) which produces a small, prickly green fruit long enjoyed and prized for its many healthy benefits. You may not have heard of graviola or you may be familiar with one of its alternative names; soursop, cherimoya or guanabana. Graviola is a fruit tree which grows in Central and South America and its fruit, leaves and bark have all been used traditionally to treat a range of health disorders from rickets to diabetes. Some more recent research points to its potential ability to fight cancer. 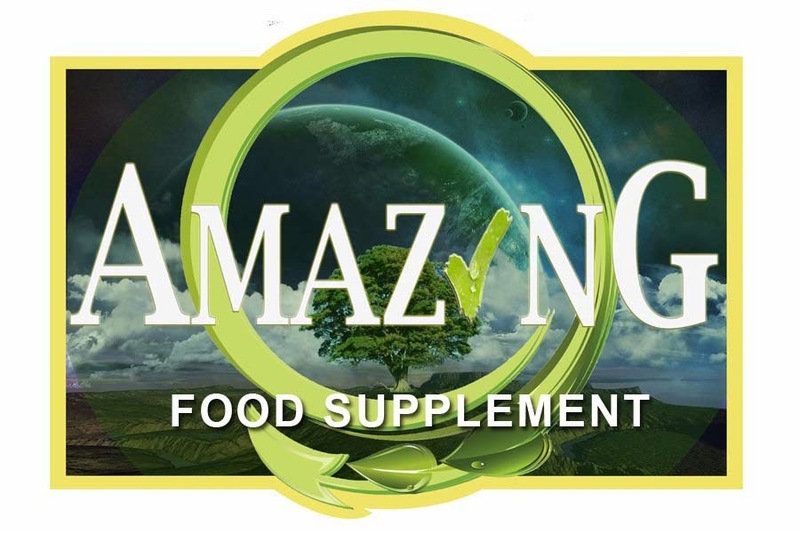 So what makes graviola such a desirable and beneficial plant and is it really the superfood that many claim it to be? The graviola fruit is a rich source of vitamins B1 and B2 and also vitamin C. The fruit also possesses a number of healthy and essential minerals such as calcium, zinc, potassium magnesium and phosphorus. 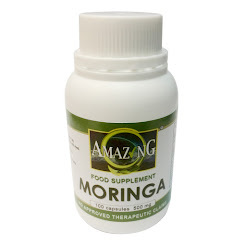 It is not only the fruit that is good for you; the bark, leaves and the stem are a great source of antioxidant which help your body to repair the damage inflicted on its cells by infamous free radicals. Considering its rich and healthy content, it is not surprising that graviola has been consumed for so many years by certain South American cultures. It might have taken a while, but the Western world is now beginning to catch on and graviola has caught the eye of researchers and it is now increasingly available in several different forms. In PeruThe leaves are brewed and used to treat inflammation of the mucus membrane and to help get rid of mucus in the nose, throat or lungs. In the Amazon regionThe root and the leaves of the Graviola tree are used to control blood sugar levels in diabetic patients. In the CaribbeanTea is made from the leaves of the tree for coughs, flu symptoms and asthma.Breastfeeding mothers make sure they eat its fruit to promote milk production. In many parts of South AmericaThe juice is used to treat dysentery and scurvy while the bark and roots are used as a sedative. While there has been a relatively large amount of laboratory research into the potential of graviola for cancer, many of the other benefits listed below are based on anecdotal and traditional use. Scientific research into the therapeutic benefits of graviola is slim and the information given below is not meant to replace medical opinion. Much of the recent literature related to graviola has been inspired by recent research into its ability to fight cancer. The Graviola fruit is rich in Acetogenins, which are unique to this plant family. Acetogenins appear to have anti-tumor effects in animal studies. It must be noted that no trials have ever been conducted on humans and the FDA have not approved its use as a cancer treatment. The best known and most comprehensive studies were carried out by the Purdue University’s School of Pharmacy and Pharmaceutical Sciences and these claims that you can find quite easily with a Google search can be summarized as follows. It has the ability to target and destroy malignant cancer cells in 12 different types of cancer. Certain of its compounds were many times more powerful in slowing cancer cell growth than the commonly used chemotherapy drug; Adriamycin. Graviola extract is selective. It only kills cancer cells and leaves healthy cells unharmed. More clinical research is certainly necessary to confirm these claims and we can only hope that it will happen in the future. 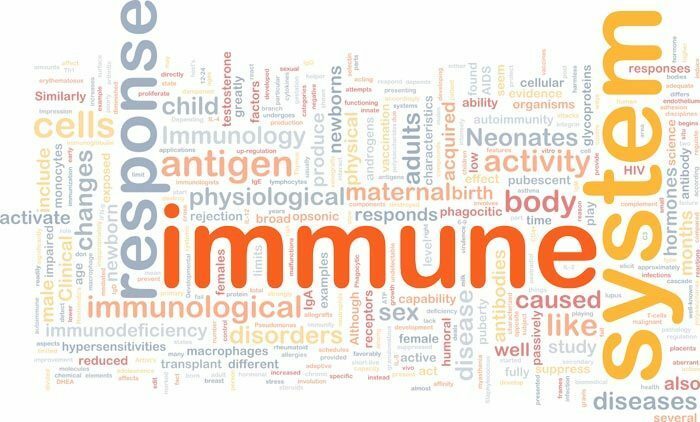 We all know the importance of a healthy immune system and graviola is said be able to boost the immune system and help to keep illness at bay. Those with a weak immune system might benefit from graviola. 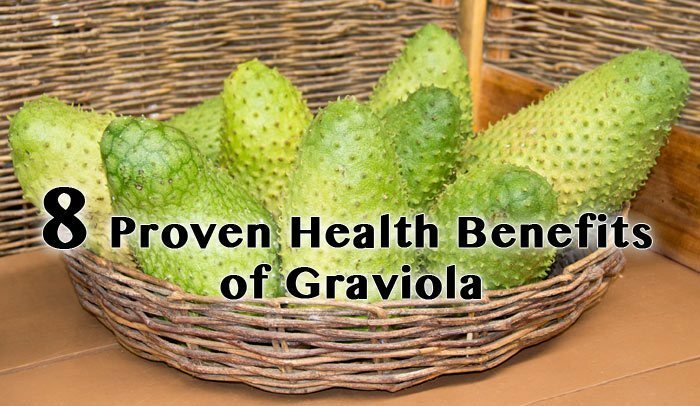 Graviola has been used for centuries in South America to regulate blood sugar levels in diabetic patients and there is some preliminary modern research that suggests it might well be effective. Certain ingredients in graviola which include phytochemicals might be able to prevent spikes in blood glucose and help to regulate glucose levels. Graviola has antiviral and anti-parasitic properties and has been traditionally used to promote digestive health. Graviola might be used to treat constipation, diarrhea and promote regular bowel movements. Graviola fruit is also eaten traditionally to eradicate intestinal worms and other parasites. Graviola has antioxidant properties which gives it a number of potential regenerative applications. It can help prevent and repair cell damage and reverse some of the telltale signs of aging such as wrinkles and other skin blemishes. I retain a healthy dose of skepticism over this claim but there is some anecdotal evidence that suggests graviola can help boost energy levels and fight fatigue. Another claim is that graviola can reduce the amount of uric acid in your body which would make it a potential remedy for gout. 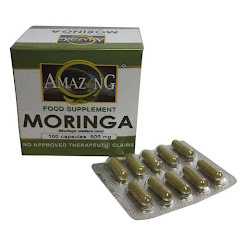 Drinking graviola or taking graviola supplements is said to be good for easing back pain and rheumatism but there is no scientific research to confirm these claims. Graviola is available in supplementary capsule and liquid forms, make sure that you read the label thoroughly to determine the correct dosage. If you can get hold of the fruit itself, it is easy to prepare and can be enjoyed in any number of ways. Graviola fruit usually has a delicious, slightly sour taste (hence the name soursop), which is quite difficult to pinpoint. You might get hold of a sweeter variety that some people compare to a combination of banana, papaya and pineapple. When ripe simply remove the black seeds and scoop out the pulp. You can enjoy the fruit itself or add it to your smoothie or juice recipe. Women who are pregnant or breastfeeding should not take graviola. There is no research into the safety of graviola supplements on babies or the unborn fetus. Webmd warns against taking graviola supplements because it might kill the brain’s nerve cells and cause mobility problems similar to the movement problems associated with Parkinson’s. If you’ve ever had Jell-O before, you’ve come into contact with gelatin whether you realize it or not. What might surprise you is that it’s a lot more than just a creative way to make your dessert jiggle — it’s also a source of important nutrients. A type of protein derived from collagen, gelatin is found in animal parts that provide us with important amino acids, the “building blocks” of proteins. In fact, its unique amino acid profile is the reason for many of its health benefits, which you’ll read about below. So what is gelatin exactly? In the case of food manufacturing, gelatin is made into a dried powder that’s created from isolating and dehydrating parts of animals, including skin, bones and tissue. This might not sound too appetizing, but you likely won’t even know your eating it when you have it because it’s virtually colorless and tasteless. Thankfully, we can consume gelatin by eating a lot more than just processed desserts. You might have noticed an increase of popularity of bone broth lately. Did you know that this is actually a rich source of naturally occurring gelatin? Bone broth is often used to help clear up food allergies or intolerances, digestive issues, leaky gut syndrome, autoimmune disorders, and more. One of the reasons is because gelatin provides amino acids like glycine that strengthen the gut lining and therefore lower inflammation. Glycine is used by doctors to help improve digestive, joint, cardiovascular, cognitive and skin health. Similarly to collagen, gelatin is beneficial for preventing intestinal damage and improving the lining of the digestive tract, thereby preventing permeability and leaky gut syndrome. (2) You can think of the gut lining as one of the body’s most important lines of defense, since it keeps particles from food, bacteria and yeast inside the digestive system where they belong and prevents leakage into the bloodstream, which triggers inflammation. Gelatin can improve your ability to produce adequate gastric acid secretions that are needed for proper digestion and nutrient absorption. Glycine from gelatin is important for restoring a healthy mucosal lining in the stomach and facilitating with the balance of digestive enzymes and stomach acid. When you don’t make the proper amount of enzymes/stomach acid, you can experience common digestive problems like nutrient deficiencies, acid reflux, bloating, indigestion, as well as anemia. Older people often experience more digestive problems because vital digestive juices are lowered during the aging process and worsened by increased stress. Finally, gelatin is capable of absorbing water and fluids, which helps prevent fluid retention and bloated stomach while improving constipation. Collagen and gelatin have gained notoriety for easing symptoms of osteoarthritis and rheumatoid arthritis. Osteoarthritis is common in older people and considered the leading cause of frequent joint pains. As people age, they tend to develop more stiffness, aches and limited mobility that worsen over time since collagen continues to break down and erode. Gelatin and collagen help stall chronic inflammatory responses, which reduces pain and stops progressive disease that lead to impairments in joint function, such as degenerative joint disease. Research shows that people with osteoarthritis, joint pain, bone-related problems like osteoporosis, and exercise-related soreness or injuries can all benefit from supplementing with gelatin. (3) In clinical trials, people taking gelatin (around two grams daily) tend to experience less inflammation, less pain in the joints or muscles, better recovery, and even improved athletic abilities compared to people taking a placebo. Certain studies have shown that gelatin helps people who continuously experience trouble falling asleep, can’t sleep or who have general unsatisfactory sleep if they take three grams before bedtime. Researchers investigated the effects of gelatin on subjective sleep quality and found that it improved daytime sleepiness, daytime cognitive functions, sleep quality and sleep efficacy (sleep time/in-bed time), plus it shortened the time it took to fall asleep and improved slow-wave sleep without changes in the normal/healthy sleep architecture. The amino acid glycine is considered an “inhibitory neurotransmitter,” which means it acts similarly to some anti-anxiety or antidepressant medications, only without the unwanted complications and side effects. People use glycine and other forms of amino acid therapy to naturally boost mental clarity and calmness because certain amino acids help lower “stress hormones” like norepinephrine and increase “happy hormones” like GABA. Worried about your skin developing wrinkles, sun damage, stretch marks and other signs of aging? Here’s some good news: Consuming gelatin (and taking collagen directly) can help improve your appearance thanks to its positive effects on skin health and cellular rejuvenation. Collagen is considered a primary building block for skin and is partially what gives skin a youthful, healthy appearance. The older we get and the more we put our bodies through, the more we could use extra collagen to to buffer the effects of environmental stress we all face. Consuming more gelatin is a smart natural skin care habit because it helps stimulate new and non-fragmented collagen, not only restoring skin’s durability, but also helping you maintain strong hair, nails and teeth. One of the most beneficial roles that gelatin plays in the body is neutralizing chemical compounds that we acquire from eating meat. Animal products including meat from chicken, beef, turkey, etc., along with eggs, are high in a type of amino acid called methionine. While methionine has some beneficial roles in the body, in excess it also raises your risk for heart problems and other ailments because it increases the amount of homocysteinein your blood. (7) The more methionine we consume, the more we require other nutrients that help lower homocysteine’s negative effects. High blood levels of homocysteine have been linked with increased inflammation levels and diseases like arteriosclerosis, other forms of cardiovascular disease, stroke, weakened bones and impairments in cognitive functions. It’s not that you need to cut out all animal products in order to become healthier; rather you need to make sure you balance out the types of nutrients you get from your diet. If you have a diet that’s high in meat/eggs or low in animal products in general (you’re a vegetarian), you want to consume substances like gelatin to make sure you get a range of important amino acids in healthy amounts. Just like protein foods and other sources of protein, certain studies have found that taking gelatin supplements (up to about 20 grams) helps increase satiety and control hunger hormones. (9) While it has’t been proven to be a helpful weight loss tool, it seems capable of increasing satiety hormones like leptin and lowering appetite hormones like ghrelin in obese adults. Collagen vs. Gelatin: What’s the Difference? Collagen is a key builder of healthy skin, muscle, tendons, joints, bones and other tissue in both humans and animals, so when we don’t produce enough it’s no wonder our health suffers big time. Within the body, collagen goes through a series of steps to break down its long chain proteins into its original amino acids, which are then absorbed and used for collagen synthesis throughout the body. Collagen and gelatin are similar in terms of their benefits because they contain the same amino acids, but their uses are slightly different and some people digest gelatin a bit more easily. Cooking collagen helps isolate gelatin, and gelatin only dissolves in hot water. It forms a noticeably gel-like substance when mixed with water, but collagen does not. This means gelatin might have more practical uses when cooking, such as making your own jellies or thickening sauces. To convert collagen from animal parts into gelatin, several processes are used that break down collagen’s intermolecular bonds and release certain amino acids. Extraction of gelatin in food manufacturing is usually done using hot water and acid solutions to hydrolyze collagen into gelatin. Then certain filtration, clarification and sterilization processes usually take place to form the dried, final product, depending on how it’s sold. Like with most foods or supplements, the less processing it goes through the better it is for you when you consume it. Gelatin degradation is minimized most by deriving gelatin at the lowest temperature possible, which allows it to hold on to its natural peptide structure that provides its benefits. One of the most valuable amino acids we get from gelatin is glycine. Glycine, in addition to other amino acids like proline, is what comprises collagen, which is critical for giving connective tissue throughout the body its strength and durability. Glycine is also important for our ability to naturally detoxify ourselves of heavy metal chemicals or toxic substances we come into contact with through our diet and environment. Consuming plenty of glycine has been tied to better glutathione production, which is one the of the most important liver-cleansing detoxifiers we have, helping clean our blood and usher harmful substance out of the body. Wondering if you actually need to supplement with gelatin or add more to your diet purposefully? For most people, the answer is yes. Traditional diets of our ancestors typically included higher amounts of gelatin, since a “nose-to-tail” eating approach of animals was popular. But today, the average person runs low on gelatin (and other animal-derived compounds like collagen) since many edible animal parts are often discarded. It’s not chicken breast or filet mignon that supplies gelatin naturally; it’s the “gelatinous” parts of the animals that aren’t usually consumed nowadays, including the animal’s skin, bone marrow and tendons. While we can make some of the amino acids on our own, we might require more as we age and if we have high levels of inflammation, compromised digestion, weak joints or damaged bones. Another group likely running very low in gelatin is vegetarians. Considering vegetarians and vegans don’t eat most or all animal products, they have no exposure to it on a normal basis. A mostly vegetarian diet might be healthy if done carefully, but it raises your risk for being low in all essential amino acids the human body requires since it eliminates “complete proteins” like meat, fish, and sometimes eggs and dairy. The best way to consume gelatin is to eat animals “nose to tail,” meaning you don’t discard the bones and connective tissue but rather make them into broth or soup. You can do this by simply brewing some bone broth at home using this Bone Broth Recipe. While eating parts of animals that contain collagen and consuming bone broth are both ideal ways to obtain gelatin and collagen, this isn’t always easy or possible. As an alternative, you can use powdered gelatin, which takes much less time to prepare. This way allows you to make a fast, simple substitute for bone broth and gives you another way to acquire beneficial amino acids. Hydrolyzed gelatin powder can be mixed into any type of liquid, including soups, broths and stews. Some people even use it in cold water like smoothies or juices. When looking to buy it in grocery stores or online, you’ll likely come across gelatin in the form of sheets, granules or powder. You can use instant types in recipes (which usually need to be soaked in water to absorb the fluid and become a gel), but make sure you get the most beneficial kind possible. Keep in mind that the overall health of an animal impacts the quality of the collagen and gelatin it stores inside its body. It’s important to consume quality animal products, including meat, skin, eggs and collagen, because properly raised animals store more minerals in their bodies, have more beneficial fatty acid profiles (more omega-3s and less omega-6s) and are less contaminated. I recommend purchasing gelatin and collagen products from animals that have been grass-fed or pasture-raised, since these animals are healthier overall and are not raised using artificial hormones or antibiotics. Going one step further, look for organic gelatin whenever possible to ensure the animals did not eat a diet that consisted of GMO grains or crops sprayed with chemicals. A type of protein derived from collagen, gelatin is found in animal parts that provide us with important amino acids, the “building blocks” of proteins. Bone broth — often used to clear up food allergies or intolerances, digestive issues, leaky gut syndrome, autoimmune disorders, and more — is a rich source of naturally occurring gelatin. Gelatin improves gut health and digestion, protects joints and lowers joint pain, helps improve sleep quality, lifts mood and improves cognitive abilities, improves skin health, helps maintain heart health, maintains strong bones, and helps you feel full. Gelatin is made up of about 98 percent to 99 percent protein by dry weight. It’s considered unusually high in amino acids glycine and proline. Most people don’t consume enough gelatin nowadays because it’s most prevalent in animal parts we no longer consume: skin, marrow, tendons. Those are famous words from the ancient Greek physician Hippocrates, often called the father of Western medicine. He actually used to prescribe garlic to treat a variety of medical conditions. Well… modern science has recently confirmed many of these beneficial health effects. Here are 11 health benefits of garlic that are supported by human research studies. Garlic is a plant in the Allium (onion) family. It is closely related to onions, shallots and leeks. It grows in many parts of the world and is a popular ingredient in cooking due to its strong smell and delicious taste. However, throughout ancient history, the main use of garlic was for its health and medicinal properties (1). Its use was well documented by all the major civilizations… including the Egyptians, Babylonians, Greeks, Romans and the Chinese (2). The entire “head” is called a garlic bulb, while each segment is called a clove. There are about 10-20 cloves in a single bulb, give or take. We now know that most of the health effects are caused by one of the sulfur compounds formed when a garlic clove is chopped, crushed or chewed. This compound is known as allicin, and is also responsible for the distinct garlic smell. Allicin enters the body from the digestive tract and travels all over the body, where it exerts its potent biological effects (which we’ll get to in a bit). Bottom Line: Garlic is a plant in the onion family, grown for its cooking properties and health effects. It is high in a sulfur compound called Allicin, which is believed to bring most of the health benefits. Calorie for calorie, garlic is incredibly nutritious. Manganese: 23% of the RDA. Vitamin B6: 17% of the RDA. Vitamin C: 15% of the RDA. Selenium: 6% of the RDA. Decent amounts of calcium, copper, potassium, phosphorus, iron and vitamin B1. Garlic also contains trace amounts of various other nutrients. In fact, it contains a little bit of almost everything we need. This is coming with 42 calories, with 1.8 grams of protein and 9 grams of carbs. Bottom Line: Garlic is low in calories and very rich in Vitamin C, Vitamin B6 and Manganese. 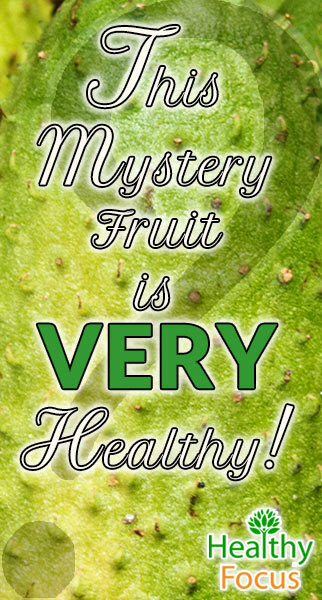 It also contains trace amounts of various other nutrients. Garlic supplementation is known to boost the function of the immune system. One large 12-week study found that a daily garlic supplement reduced the number of colds by 63% compared with placebo (4). The average length of cold symptoms was also reduced by 70%, from 5 days in placebo to just 1.5 days in the garlic group. Another study found that a high dose of garlic extract (2.56 grams per day) can reduce the number of days sick with cold or flu by 61% (5). If you often get colds, then adding garlic to your diet could be incredibly helpful. Bottom Line: Garlic supplementation helps to prevent and reduce the severity of common illnesses like the flu and common cold. Cardiovascular diseases like heart attacks and strokes are the world’s biggest killers. High blood pressure, or hypertension, is one of the most important drivers of these diseases. Human studies have found garlic supplementation to have a significant impact on reducing blood pressure in people with high blood pressure (6, 7, 8). In one study, aged garlic extract at doses of 600-1,500 mg was just as effective as the drug Atenolol at reducing blood pressure over a 24 week period (9). Supplement doses must be fairly high to have these desired effects. The amount of allicin needed is equivalent to about four cloves of garlic per day. Bottom Line: High doses of garlic appear to improve blood pressure of those with known high blood pressure (hypertension). In some instances, supplementation can be as effective as regular medications. Garlic can lower Total and LDL cholesterol. For those with high cholesterol, garlic supplementation appears to reduce total and/or LDL cholesterol by about 10-15% (10, 11, 12). Looking at LDL (the “bad”) and HDL (the “good”) cholesterol specifically, garlic appears to lower LDL but has no reliable effect on HDL (6, 7, 13, 14, 15). Garlic does not appear to lower triglyceride levels, another known risk factor for heart disease (10, 12). Bottom Line: Garlic supplementation seems to reduce total and LDL cholesterol, particularly in those who have high cholesterol. HDL cholesterol and triglycerides do not seem to be affected. Oxidative damage from free radicals contributes to the aging process. Garlic contains antioxidants that support the body’s protective mechanisms against oxidative damage (16) . High doses of garlic supplements have been shown to increase antioxidant enzymes in humans (5, 17), as well as significantly reduce oxidative stress in those with high blood pressure (6). The combined effects on reducing cholesterol and blood pressure, as well as the antioxidant properties, may help prevent common brain diseases like Alzheimer’s disease and dementia (17, 18). Bottom Line: Garlic contains antioxidants that protect against cell damage and ageing. It may reduce the risk of Alzheimer’s disease and dementia. Effects on longevity are basically impossible to prove in humans. But given the beneficial effects on important risk factors like blood pressure, it makes sense that garlic could help you live longer. The fact that it can fight infectious disease is also an important factor, because these are common causes of death, especially in the elderly or people with dysfunctional immune systems. Bottom Line: Garlic has known beneficial effects on common causes of chronic disease, so it makes perfect sense that it could help you live longer. Garlic was one of the earliest “performance enhancing” substances. It was traditionally used in ancient cultures to reduce fatigue and enhance the work capacity of labourers. Most notably, it was administered to Olympic athletes in ancient Greece (19). Rodent studies have shown that garlic helps with exercise performance, but very few human studies have been done. Subjects with heart disease that took garlic oil for 6 weeks had a reduction in peak heart rate of 12% and improved their exercise capacity (20). However, a study on nine competitive cyclists found no performance benefits (21). Other studies suggest that exercise-induced fatigue may be reduced with garlic (2). Bottom Line: Garlic can improve physical performance in lab animals and people with heart disease. Benefits in healthy people are not yet conclusive. At high doses, the sulfur compounds in garlic have been shown to protect against organ damage from heavy metal toxicity. A four week study in employees of a car battery plant (excessive exposure to lead) found that garlic reduced lead levels in the blood by 19%. It also reduced many clinical signs of toxicity, including headaches and blood pressure (22). Three doses of garlic each day even outperformed the drug D-penicillamine in symptom reduction. Bottom Line: Garlic was shown to significantly reduce lead toxicity and related symptoms in one study. No human trials have measured the effects of garlic on bone loss. However, rodent studies have shown that it can minimise bone loss by increasing estrogen in females (23, 24, 25, 26). One study in menopausal women found that a daily dose of dry garlic extract (equal to 2 grams of raw garlic) significantly decreased a marker of estrogen deficiency (27). This suggests that this garlic may have beneficial effects on bone health in women. Foods like garlic and onions have also been shown to have beneficial effects on osteoarthritis (28). Bottom Line: Garlic appears to have some benefits for bone health by increasing estrogen levels in females, but more human studies are needed.